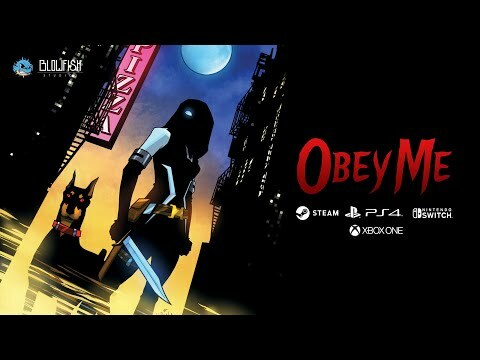 Obey Me is a dynamic 3D Brawler centered on a duo of misfit demons fighting hordes of mutants, fiends and angelical machines alike. Set in the modern world, Heaven and Hell are locked in a millennial conflict for the souls of Mankind. Vanessa Held, a lowly Soul Huntress in the infernal ranks, and her Hellhound companion, Monty, will tip the balance of the war with their own hands. Roam through a city filled with peril, slashing, kicking and crushing your foes. Consuming their souls to get stronger, combining attacks, unlocking new combos, powers, and transformations. The upcoming Obey Me PC, PS4, Switch and Xbox One release date is Q3 2019 in the US and the UK. Notify me when Obey Me is available.